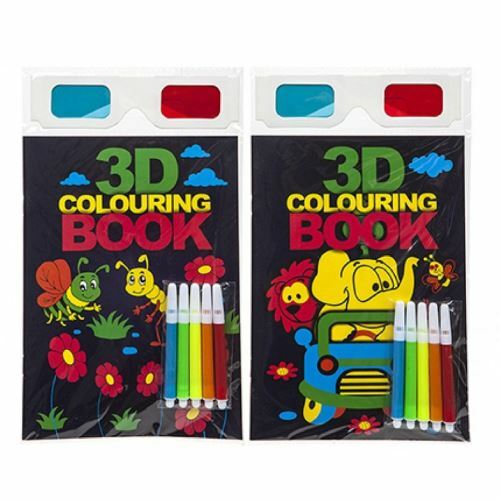 Children 3D Colouring Book with 5 colour pens and 3D glasses. The 3d colouring book uses colour to create the illusion of depth. Colour in the pictures with the colouring pens provided and view with the glasses to make the images 3 dimensional! You will receive 1 book chosen at random.